At the start of each month we take a look at the fascinating powers of a particular crystal and explain how it can be used to enrich your life. This month, we’ll take a look at the stunning Okenite. Whether you need help forgiving someone for their actions or you’d like to gain control of your life and ditch a bad habit, this wonderful crystal can work wonders for your mind, body and spirit. 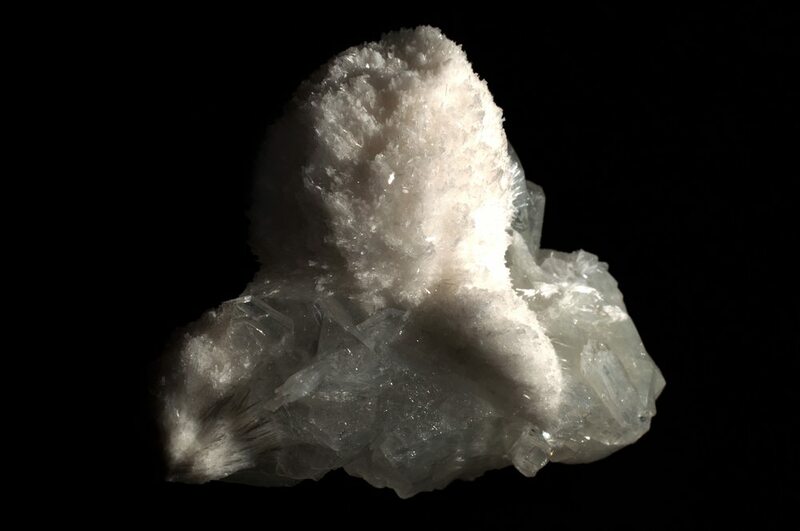 Okenite can encourage its beholder to exercise forgiveness and move on from situations that evoke damaging emotions or cause unnecessary grief. Whether you’ve been wronged by a friend or family member, or you’re finding it hard to forgive yourself for something you did in the past, Okenite can help you make amends and achieve a sense of peace. Have you been keeping secrets? Sometimes we keep secrets for entirely selfless reasons but other times, we fib or lie to get away with things we know we shouldn’t have done. Although it’s impossible to turn back the clock and coming clean may cause unnecessary drama, Okenite can help you to be more honest in the future. Okenite can also help to encourage honesty in those around you. If a friend has a hard time expressing their true emotions, it could be worth wearing an Okenite crystal around your neck whenever you’re in their presence. The calming and reassuring energies that radiate from this supportive crystal may help your friend to open up to you. Everyone has a bad habit or two but if your nasty habit begins to take over your life or have a damaging impact on the health of yourself or those around you, it could be time to kick it to the curb. Okenite is a purifying stone that can help you identify the true cause of toxic behaviours while encouraging you to make more deliberate and positive decisions. Whether you’re a 40-a-day smoker or you can’t help but swear like a trooper, Okenite can help you overcome the habits you wish to break. Okenite is a fantastic healer and can help to reduce fevers, soothe stomach problems and ease headaches. No crystal should be used as an alternative to traditional medicine, but they can often complement the medication given to you by your doctor.